1. How did you first get involved in coaching? What was your path to your position as head coach of the Rouge et Or? 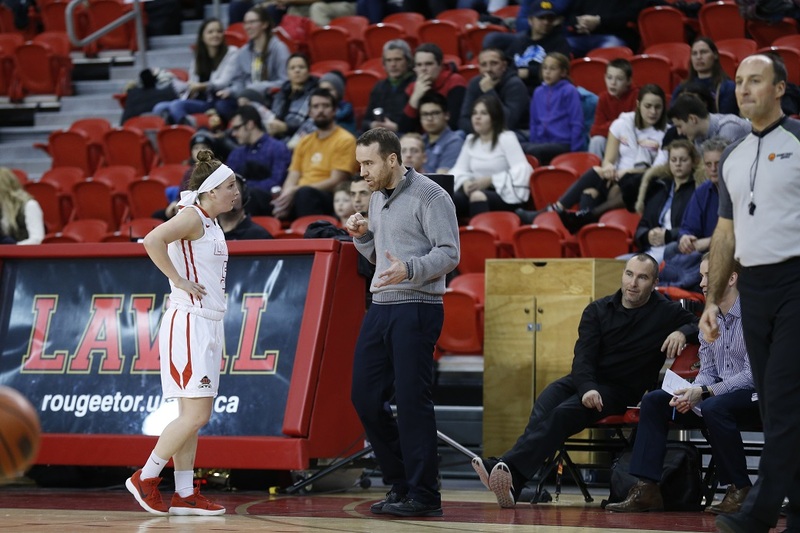 I started coaching at the age of 18 while I was still playing in CÉGEP with the Collège l’Assomption team at the time. I coached a AA girls’ team at Collège l’Assomption for a few years as well as boys’ teams afterwards. In the late 90s, I was hired at College Montmorency for the college AA level for two years before taking over the Division I team in the early 2000s. 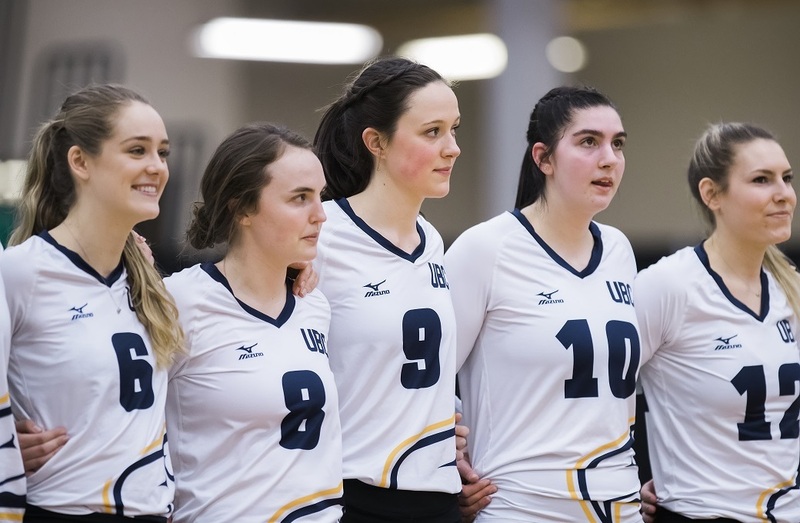 I was the head coach of the College Montmorency team from 2000 to 2008 and from 2010 to 2015, where we won a total of six CCAA national championships. 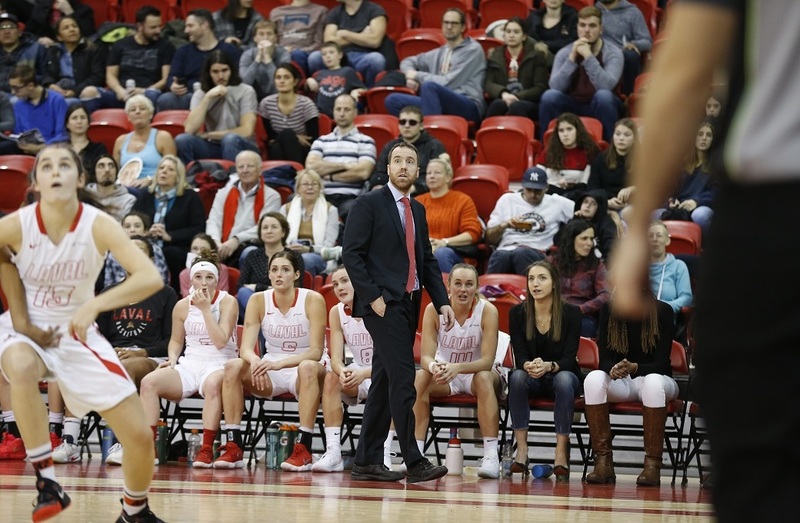 From 2011 to 2015, I wore two hats, as the head coach at Montmorency and as the assistant coach at McGill University under Ryan Thorne. 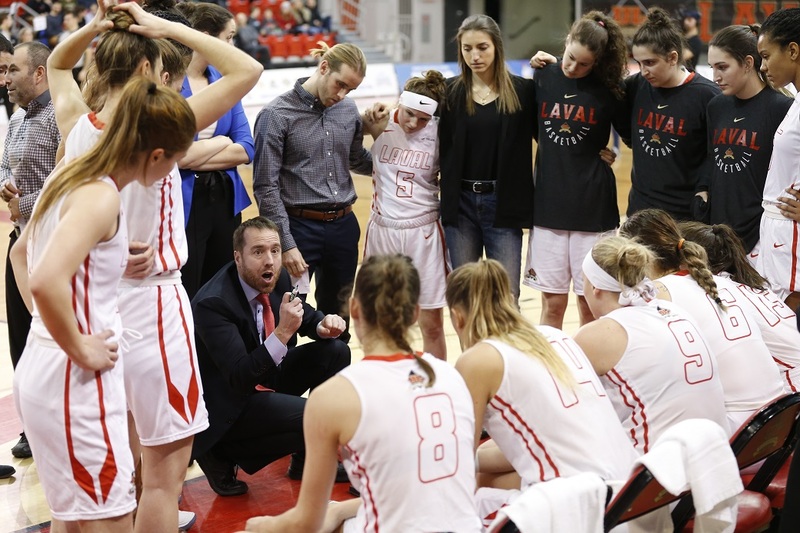 I have been the head coach at Université Laval since 2015. Most of the coaches I had in my sports career were all an inspiration to me in their own way. I also learned a lot by working with many different coaches over the years. The sacrifices that these coaches make in their personal and family lives have always been impressive to me. I have a demanding but always respectful coaching style. I’m not afraid of being frank, but always with a view to helping athletes push their limits at their own pace. I’m transparent with the athletes, which means that my expectations of them are clear and precise. I also like to have laugh and have fun off the court, so I think the athletes appreciate this aspect of my personality. The coach for whom I have the greatest respect is the current head coach at McGill University, Ryan Thorne. A coach with integrity, a born leader who taught me how to become a full-time coach and for whom preparing his team should never be compromised. 5. What is the most outside-the-box thing you’ve ever done as a coach? I’m a pretty conservative guy so it’s hard to answer that question, but let’s just say that in my early years of coaching, I was more of a military type. Luckily, I adapted because I wouldn’t have lasted long in the coaching world if I hadn’t. Although various championships are always enjoyable, my greatest achievement as a coach is to watch an athlete with minimal playing time evolve and end up on the all-star team later in their career. And to see some girls show up with obvious academic difficulties and then watch them graduate later on. It always makes me prouder to see the success of student-athletes than my own. Both are often connected because without the sacrifices they make, we wouldn’t have any success. The best advice I could give to an athlete or their parent would be to never give up, no matter what. I have often witnessed athletes who managed to became pillars of their team through perseverance and sacrifice. These types of values will also bring them success in the various spheres of life after sport. I’ve changed a lot over time. 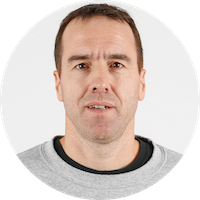 I’ve become a more pedagogical coach and I listen more to my players now. My experience has allowed me to evolve and adapt throughout my journey. In my opinion, this is the way to have a lasting career. On the other hand, I’ve always prided myself in striving to establish a culture of hard work, attention to detail, perseverance and pushing limits, without compromise. But always in a respectful manner, of course. When I'm not coaching, I enjoy spending time with my family, and staying active through a variety of sports (baseball, golf, etc.). I also like riding motorcycles and yes, going fishing. The most embarrassing thing I’ve ever experienced was at a practice just before the Christmas break, when I was younger and thought I was still fit! I played in the practice with the girls, and I injured my knee after about five minutes of play. I ended up with a sprain that left me on crutches for a month. I had trouble walking for two months afterwards. I’ve never tried to play with my athletes again!